ASTM B564 Alloy 630 Bolt, ASTM F2281 UNS S17400 Bolts, 17-4 PH Hex Bolts Dealer, 17-4 PH Stainless Steel Industrial Bolts Stockists, 17-4 PH SS Structural Bolt Suppliers, UNS S17400 Square Bolts, Distributors of Alloy 630 Timber Bolts, DIN 1.4542 Carriage Bolts, 17-4 PH Fasteners in Mumbai, India. ANSI B18.2.1 17-4 PH Custom Bolt, ASME SB564 UNS S17400 Bent Anchor Bolts Wholesaler, ASME SF2281 Alloy 630 Hex Lag Bolts, DIN 1.4542 Bolts, UNS S17400 Machine Bolts Manufacturer, DIN 933 17-4 PH Round Headed Bolts Exporters. Renine Metalloys is a well-known supplier of Stainless Steel UNS S17400 Bolts, where its mechanical properties can be optimized with heat treatment. Because our Stainless Steel 17-4 PH Hex Head Bolts is hard, forming normally should be limited to mild operations. The composition of these 17-4 PH Stainless Steel Square Bolts is carbon, Columbian + tantalum, chromium, nickel, phosphorous, copper, manganese, silicon, and sulfur. 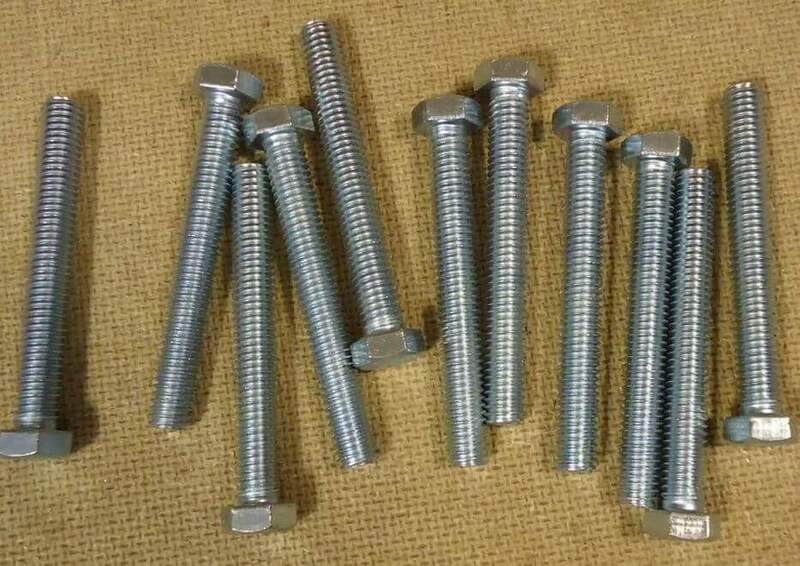 Our Alloy 17-4 PH U-Bolts is used for Aerospace applications, Chemical processing equipment, Fasteners, Oil and petroleum refining equipment, etc. Uses for SS 17-4 PH Eye Bolts include components which require high hardness and/or corrosion resistance at temperatures of up to 600 Degree F (316 Degree C). To further strengthen the stainless steel, our Alloy 630 T-Bolts are subjected to heat treatments which result in the precipitation hardening stainless steel material. Grade 630 Hex Bolts has adequate resistance to atmospheric corrosion or in diluted acid salts where its corrosion resistance is equivalent to Alloy 304 or 430. Our Stainless Steel 630 Lag Bolts is often used for Valves and gears, Propeller shafts, Oil field equipment, Valve spindles, Pump shafts, etc. The age treatment of Stainless Steel DIN 1.4542 Bolts is carried out at low temperatures, to avoid significant distortion. The high tensile strengths of precipitation hardening stainless steels like our Stainless Steel S17400 Counter Sunk Bolts come after a heat treatment process that leads to precipitation hardening of a martensitic or austenitic matrix. UNS S17400 U-Bolts, 17-4 PH Open Eye Bolts, UNS S17400 Bin Bolts, DIN 1.4542 Flange Bolts Exporters, Alloy 630 Tension Control Bolts, 17-4 PH Stainless Steel Step Bolts Suppliers, UNS S17400 Connector Bolt Traders. 17-4 PH Fasteners, 17-4 PH Bolt, Alloy 630 Bolts, UNS S17400 Bolts Exporters, DIN 1.4542 Bolts, 17-4 PH Square Bolts, ASME SF2281 17-4 PH Stainless Steel Hex Lag Bolts, ASTM F2281 17-4 PH SS T-Bolt, ASME SB564 17-4 PH Timber Bolts, UNS S17400 Square Lag Bolts, WNR No. 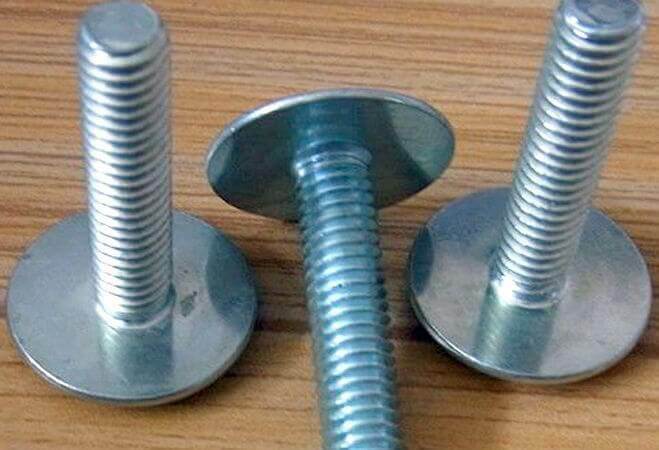 1.4542 Carriage Bolts, 17-4 PH Industrial Bolts, UNS S17400 Timber Spikes Bolt, DIN 1.4542 Machine Bolts, ASTM F2281 17-4 PH Hanger Bolts, ASTM B564 Alloy 630 Plow Bolts, 17-4 PH Shoulder Bolts, Werkstoff No 1.4542 Flange Bolts, Alloy Alloy 630 Draw Bolts, UNS S17400 Toggle Bolt, Alloy 630 Stove Bolts, UNS S17400 Tap Bolts Exporter, 17-4 PH Elevator Bolts, UNS S17400 Stainless Steel Hex Bolts Supplier, UNS S17400 Heavy Hex Bolts, ASTM F2281 17-4 PH Structural Bolts, ASTM B564 17-4 PH SS Roofing Bolts, Alloy 630 Jack Bolt, DIN 1.4542 Coil Bolts Stockist, UNS S17400 Long Bolts, UNS S17400 Wheel Bolts, 17-4 PH Hexagonal Head Bolt, UNS S17400 Round Headed Bolts, UNS S17400 Step Bolts, 17-4 PH Headed Anchor Bolts, UNS S17400 Custom Bolts Stockists, 17-4 PH Stainless Steel Close / Open Eye Bolts Stockists, Alloy 630 Anchor Bolts, UNS S17400 Square bend Hook Bolts Traders, ASME SF2281 UNS S17400 Round Bend Hook Bolts Dealer, ASTM B564 17-4 PH Special Hook Bolts, SS 17-4 PH Bent Anchor Bolts, 17-4 PH Tension Control Bolt, 17-4 PH Stainless Steel Tower Bolts Stockholder, 17-4 PH Penta Bolts, Supplier of High Quality 17-4 PH Coil Bolts, Manufacturer of Alloy 630 Sidewalk Bolts Traders, Exporters of UNS S17400 Bin Bolts, 17-4 PH Track Bolts Dealer, Alloy 630 Hurricane Bolts Stockholders, UNS S17400 Socket Head Bolts Wholesaler in India, 17-4 PH Slotted Head Bolts Manufacturer, Distributors of UNS S17400 Headed Anchor Bolts Stockholders, DIN Standard 17-4 PH Bolts, ANSI Standard 17-4 PH Bolt, BS Standard UNS S17400 Bolts, ISI Standard UNS S17400 Bolt, ISO Standard 17-4 PH Bolts. Pune, Geoje-si, New Delhi, Ranchi, Sydney, Atyrau, Al Khobar, Bangkok, Karachi, Cairo, Doha, Courbevoie, Kolkata, Jakarta, Bogota, Brisbane, Jeddah, Riyadh, Rajkot, Chandigarh, Algiers, Gurgaon, Bhopal, Madrid, Hong Kong, Indore, Montreal, Hyderabad, Dubai, Dammam, Kuwait City, Sharjah, Edmonton, Nagpur, Rio de Janeiro, Calgary, Navi Mumbai, Toronto, Bengaluru, Santiago, Istanbul, Aberdeen, Thiruvananthapuram, Gimhae-si, Ludhiana, Nashik, Ernakulam, Haryana, Ahmedabad, Colombo, Los Angeles, Chennai, Milan, Chiyoda, Jaipur, Turkey, Thane, Perth, Moscow, London, Ahvaz, Jamshedpur, Kuala Lumpur, La Victoria, Singapore, Ulsan, Busan, Lagos, Australia, Noida, Granada, Dallas, Seoul, Vung Tau, Mexico City, Faridabad, Caracas, Coimbatore, Lahore, Kanpur, Pimpri-Chinchwad, Al Jubail, Secunderabad, Hanoi, Visakhapatnam, Tehran, Manama, Mumbai, New York, Baroda, Muscat, Surat, Abu Dhabi, Ho Chi Minh City, Howrah, Petaling Jaya, Port-of-Spain, Houston, Vadodara. United Kingdom, Gabon, Finland, Egypt, Iran, Turkey, Saudi Arabia, Lithuania, Norway, Gambia, Singapore, Czech Republic, India, Denmark, Brazil, Kuwait, Slovakia, Tibet, South Africa, Mexico, Spain, Bulgaria, Kenya, Zimbabwe, Libya, Lebanon, New Zealand, Bolivia, Sri Lanka, Belarus, Romania, Jordan, United States, Costa Rica, Ukraine, China, Bhutan, France, Morocco, Argentina, Russia, Namibia, Taiwan, Bahrain, mexico, srilanka, thailand, malaysia, Australia, Indonesia, Ghana, Nigeria, Hungary, Algeria, Peru, Macau, Mongolia, Hong Kong, Thailand, Venezuela, Afghanistan, Malaysia, Azerbaijan, Chile, Serbia, Nepal, Chile, Qatar, Vietnam, South Korea, Colombia, United Arab Emirates, Canada, Ecuador, Sweden, Israel, Greece, Estonia, Netherlands, cyprus, Croatia, Japan, Bangladesh, Kazakhstan, Switzerland, Poland, Nigeria, Poland, Portugal, Philippines, Austria, Trinidad & Tobago,Tunisia, Puerto Rico, Italy, Yemen, Germany, Oman, Mexico, Iran, brazil, Belgium, Ireland.